The French Country Raised Panel Headboard adds just the right amount of grand style to your bedroom. The 55" tall headboard adds a focal point to the bedroom. The structured square design and crown molding add a touch of French style to the bed. The Raised Panel Bed is a complete bed with headboard, footboard, and side rails. Available in Twin, Full, Queen, and King sizes. A bedroom is a haven from the outside world—it's a place to relax and rejuvenate. 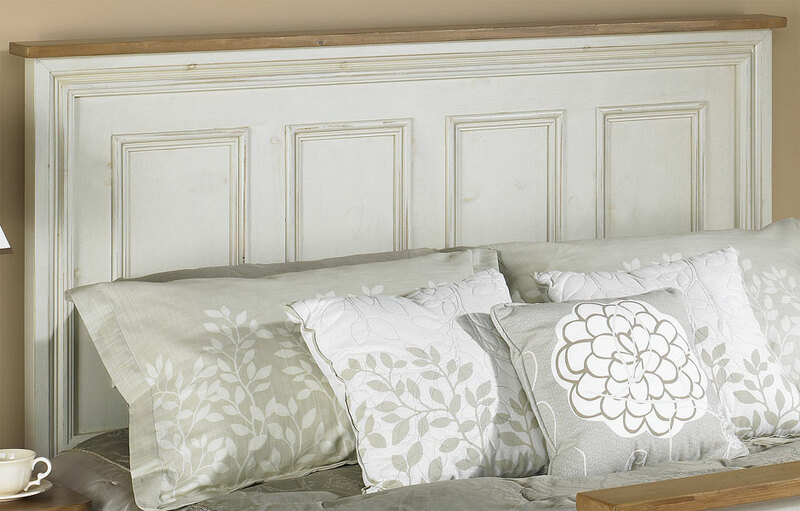 The French Country Raised Panel Headboard adds just the right amount of grand style to your bedroom. The 55" tall headboard adds focal point to a bedroom. The structured square design and crown molding add a touch of French style to the bed. Our wood paneled headboard and footboard features (4) panels on a King size bed and Queen size bed, and (3) panels on a Full size bed and Twin size bed. The paneled design is an elegant addition to any "chambre." 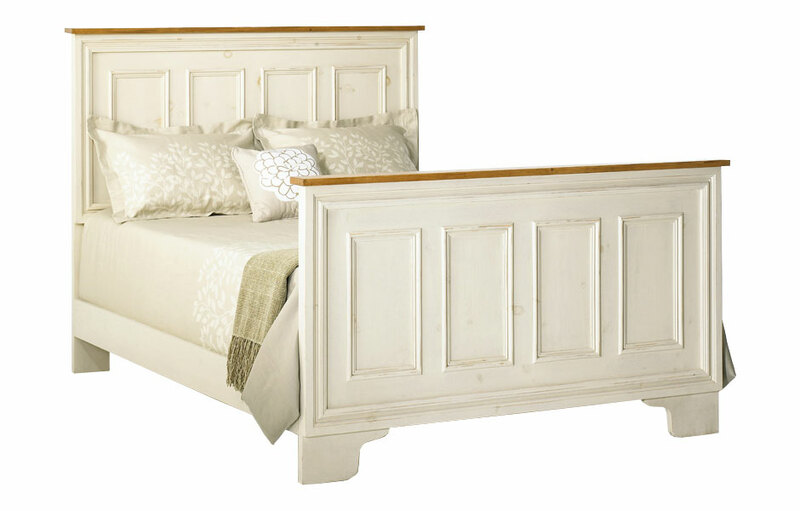 The raised paneled bed can be painted in a traditional French two-tone finish. The crown molding can be stained to highlight the wood grain, and the headboard and footboard painted in a milk paint for a Provincial style. 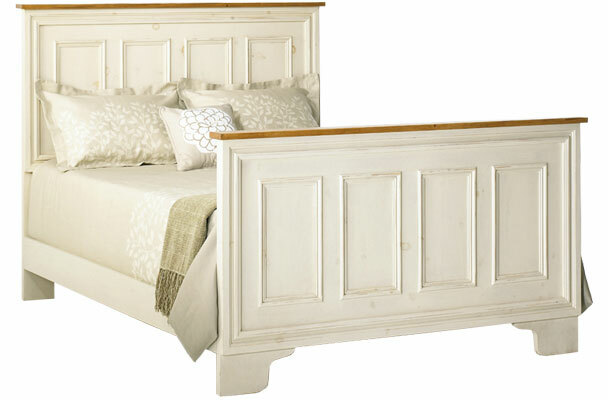 Or, the headboard and footboard can be painted all-over one color or stained for a more contemporary feel. The traditional bed is made of solid wood, and designed to stand up to years of use. A complete bed comes with a headboard, footboard, side rails, slats and assembly hardware. The French Country Raised Panel Bed complements French Country, English Cottage, Farmhouse, Rustic, Transitional and Traditional style decors. Paneled Bed bedroom set finished in Champlain.